In its quest to bring the global helicopter accident rate to zero, the International Helicopter Safety Team (IHST) has analyzed more than 1,000 U.S. civil helicopter accidents and their causes. Having done so, the IHST’s investigators have come to two clear conclusions: (1) Helicopter accidents are ultimately caused by incorrect human decisions, and (2) the evidence shows that reducing the accident rate to zero is actually possible. Based on U.S. data from the calendar years, 2000, 2001, and 2006, the majority of helicopter accidents occur in the Personal/Private (18.5%) and Instructional (17.6%) categories, followed by Aerial Applications (10.3%) and EMS (7.6%). The full breakdown is available online at www.ihst.org. Adequate preparation goes further than just proper pilot training and pre-flight briefings. It also covers everything from an aircraft’s flying abilities and respecting its limits to having sufficient fuel onboard, and keeping the aircraft properly maintained in line with manufacturers’ specifications and product updates. The IHST has identified other human-controlled factors that contribute to helicopter accidents. 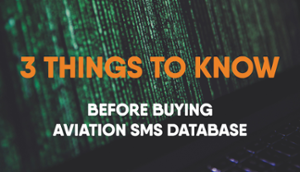 They include not having a Safety Management System (SMS) in place, and not installing and/or paying attention to Health & Usage Monitoring Systems (HUMS) and Flight Data Monitoring (FDM). IHST’s research revealed two serious cultural issues that can lead to accidents occurring. In all its efforts, the IHST will continue to hammer home the concept that helicopter accidents are indeed avoidable, through a combination of proper preparation and training, flight planning, onboard systems and flight monitoring, and compliance with regular maintenance schedules and manufacturer advisories. “Every accident is preventable,” concluded Brisbois, who has 42 years’ experience in aircraft safety. “Design standards and system safety engineering throughout the industry have had a remarkable and positive impact on improving the design and airworthiness of helicopters. The human factors aspect remains to be the biggest problem: Simply put, it’s poor planning before going to the aircraft that sets the stage for poor aeronautical decision-making in the cockpit. Alexandria, VA, November 25, 2013 — The Air Charter Safety Foundation (ACSF) is pleased to announce that Transplant Transportation Services, Inc (TTSI) is the newest company to join the ACSF. Along with 105 other companies, Transplant Transportation now supports the ACSF’s vision to enable on-demand air charter providers and fractional program managers to achieve the highest levels of safety in the aviation industry. Transplant Transportation is a leader in logistics, managing systems, processes and technology. With more than five years’ experience, TTSI works with a select network of world-class operators to provide complete transportation services for organ transplant teams, organs, and support staff. With the emphasis on thoroughly vetting each charter flight, they have narrowed the list of their safety approved network down substantially from the many charter operators available in the marketplace today. For further information, go to www.acsf.aero or www.transplanttransportationservices.com.